The Place Saint-Grey is a square with an old and illustrious history. It used to be a tiny island in the middle of a river, and in 580, a chapel was built here. By the 10th century, the chapel had become a Gothic church housing the remains of St. Gudula. Thanks to the island’s great strategic location, a fort was built by the Duke of Lower Lotharingia, marking the beginning of Brussels, though nothing of that fort exists now. 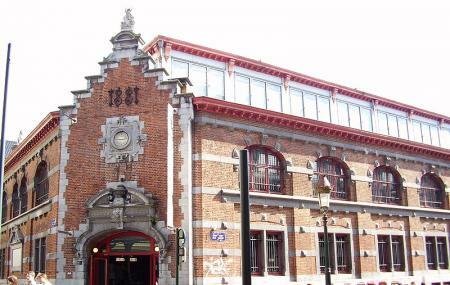 As Brussels grew, so did the presence of watermills and fishmongers. The church was razed to the ground in the 18th century by the French, and replaced by a fountain and obelisk, and the square became an open air market. In the 19th century the river was filled in. A covered market, the Halles Saint-Géry, was built on the square, enclosing the fountain. That is the neo-Renaissance building you see here today. There is no market inside anymore, but a cafe-bar, a club, and an exhibition center. Today, the location serves as Brussels’ kilometre zero. How popular is Place Saint-gery? People normally club together C'est Bon C'est Belge and Bistro Du Canal while planning their visit to Place Saint-gery.